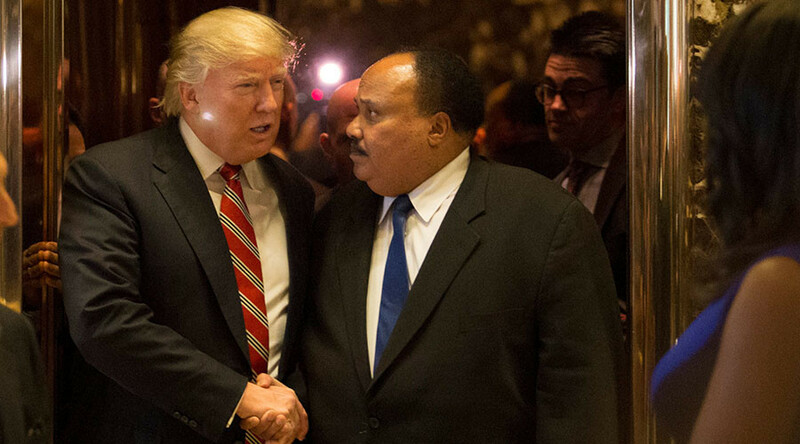 Martin Luther King III, the son of slain civil rights leader Dr. Martin Luther King, has met with president-elect Donald Trump to discuss a national voting ID card. King’s son wrote in his Op-ed in the Washington Post at the weekend about the broken electoral system that was hampered by legislative efforts to make it harder to vote. His solution is a national identification card, an idea supported by previous presidents and civil rights activists. Many African American leaders see the distribution of a free government ID as a critical boost to low-income Americans who cannot open a bank account without one. The lack of an ID not only makes it more difficult to vote in several states, but it also often makes individuals dependent on check-cashing operations that charge high commissions. King declined to get drawn into the Lewis-Trump dispute, saying "in the heat of emotion, a lot of things get said on both sides."